Just imagine how difficult it would be to start your own company in your grandfather's basement while you were charged with the additional responsibility of looking after him. In addition, you had also just graduated from college and were working with very scarce resources to develop your first product. These were the challenges our founder, George Davison, faced back in 1989 when he started this company. 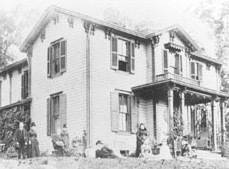 To pursue his goal, he established Davison in his grandfather's home, one of the oldest in Oakmont, Pa., which was built in 1863 by the founder of Pittsburgh's Dollar Savings Bank. Working in the basement of the historic "red house," he made prototype molds, worked with customers, and established the foundation for the company's state-of-the-art product development method that the company uses today to provide companies with a constant flow of innovative products. Back in 1989, outsourced R&D and open innovation were not commonplace, which made it difficult for the young company to flourish. As companies started cutting back on their in-house R&D capabilities, however, the well for innovation ran dry, hindering their ability to generate innovative new products to remain competitive in the marketplace. As an outsourced partner for innovating new products, Davison International was the perfect solution to this problem. Companies began to realize that Davison filled this void quite well and the small company experienced explosive growth. 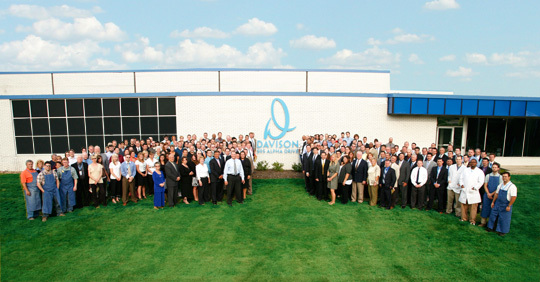 It wasn't long before Davison outgrew the red house, as well as subsequent offices, as the company continued to grow. By 2001, with multiple area operations, Davison united under one roof in O'Hara Township, Pa.
Today, the demand for Davison's services is greater than ever. With innovation being touted as "how to remain competitive in America," companies are turning to Davison to keep a steady stream of new products in the pipeline to stay ahead of their competition and win the war for shelf space. At Davison's cutting-edge 110,000 square foot new product design and development factory, George Davison and his award-winning Creationeers can produce an astounding 240 new products each month. Nobody in history has ever come close to this kind of volume for new product design and development. Companies that work with Davison no longer send their salespeople to meet with buyers with three or four new products; they send them with 15 to 25 new products. In turn, their chances with these buyers are substantially increased. Try getting a buyer to say "no" 25 times. Additionally, salespeople are able to create a huge impact on the buyer because they are not used to seeing such a large volume of products from one corporation. In a buyer's eyes, a company that continuously comes to them with a double-digit arsenal of new products is certainly more impressive and memorable than one that comes with just a few products. Buyers always ask, "What's new?" and our customers respond accordingly. If you do not have a steady stream of products to present, how will you respond?